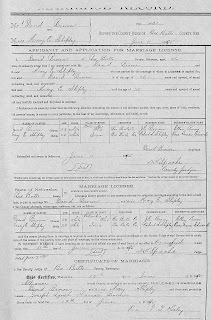 The first confirmed record found for David outside of Ohio is his Homestead application in Alliance, Nebraska begun March 26, 18892. However, David was likely in the area prior to this time. He appears to be a witness at the marriage of his cousin, James E.
Brown, fourth son of Patrick Brown, to Jennie Phillips in August 18883. It is possible that when David left Columbus, he first stopped at the home of his Uncle Patrick in Custer County, Nebraska; and, that James and David traveled to Box Butte County together. Railroads were opening the area during this time; and, the Chicago, Burlington & Quincy line actually reached Alliance in early 1888. This was the same line that went through Custer County making it an easy trip. A railroad engineer was a coveted position and only given to the best men who had, usually, taken many years to work their way up from lower positions. During the first half of 1888, the engineers and firemen for the Burlington line staged a strike shutting down operations for a time from Chicago to all points west. Scrambling to keep the rail lines open, many less experienced men were hired. The strike, deemed to be over in most areas, lingered in the Nebraska area6. If, as according to the David’s testimony in finalizing his claim, he did not leave the area, the strike could have been an opportunity for David, and many others to obtain well paying jobs. By at least 1898, David was an engineer for the Burlington line. 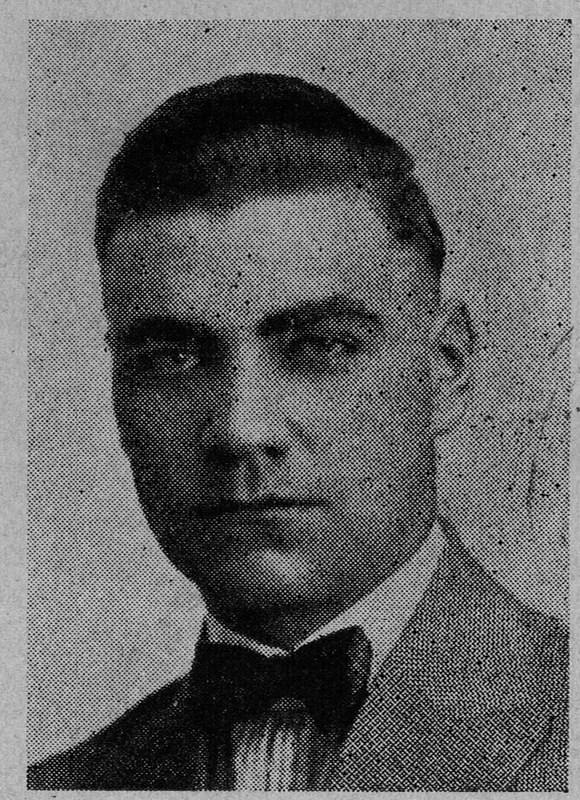 Several references are made to “engineer D. Brown” in the local newspaper, The Alliance Times. Other friends and neighbors of David were also mentioned, many engineers, and, from time to time, they “laid off” the railroad for a few weeks or months to attend to their farms and ranches7. daughter of his Uncle Patrick, and Joseph Lynch, Hannah’s future husband. Mary Ellen, born August 13, 1876, was the daughter of Robert and Rhoda Edwards Shipley. The Shipley family also homesteaded in Box Butte County in a neighboring township9. The family had previously farmed in Illinois where their seven children were born. Robert and Rhoda were originally from Kentucky. (See marriage license left.) David and Mary Ellen had two children, David Earl and Francis Merle, while living in Nebraska. This David Earl Brown is the writer of the letter that has been referred to frequently in this blog. The Brown family probably lived in the town of Alliance, a town of 2,500 in 1900. It was not unusual for a family to have a house in town and still maintain their farm or ranch, especially after their homestead was finalized10. her husband. Even David’s brothers and sisters would have been strangers. Mary Ellen had always lived in a rural area, and Columbus with a population of over 125,000 in 1900, must have been very different for her. David’s occupation is given as a “saloon keeper.” The 1910 US Census shows his occupation as “retail dealer of liquors.” The 1900 Columbus City Directory shows David in business with John Murnane11 as “Brown & Murnane.” From 1901 to 1915, he is shown in the saloon business with his brother, James, as the “Brown Bros” at various locations on West Broad Street in Columbus12. James is the fourth child and second son of John and Ellen Brown. He was born in Franklin County on February 22, 1862 and baptized at St. Patrick’s on March 12, 1862. 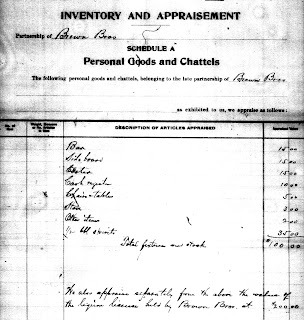 He, too, was living with Peter and Martha Burns in the 1880 census. 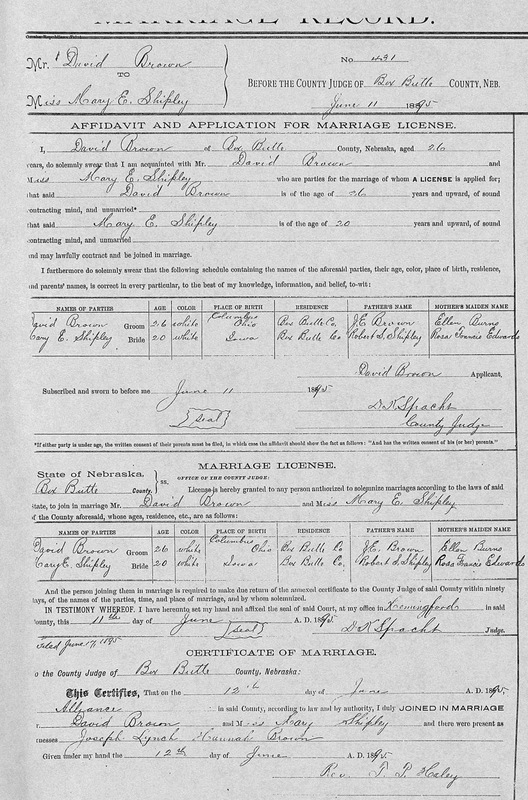 On January 4, 1883, James married Hettie Fleming13, the daughter of John and Martha Fleming, neighbors in Franklin Township in Franklin County, Ohio. James, unlike some of his brothers, never left the Columbus area. Before he joined David in the saloon business, James and Hettie were living on North Central Avenue and James was a fireman. David and Souder. just out of the image. submitted17. (see right) The next day, September 11th, David’s widow, Mary, applied for and was granted David’s one-half interest in the liquor license held for the Brown Bros paying $100 to the administrator of the estate18. From 1915 to 1918, the Columbus City Directory shows another saloon proprietor, Benj Biete, at 741 W Broad. Was the liquor license sold to Mr. Biete or did he have a license in his own name? If the license was transferred, who did the transfer, or was it done jointly? The questions could be answered by reviewing the liquor licenses. However, the records are not available19, so it is uncertain what happened to the license. It could be that actually nothing happened because the Prohibition era began in Ohio in May 1919, nearly six months before the 18th Amendment was passed by Congress20. flood waters. 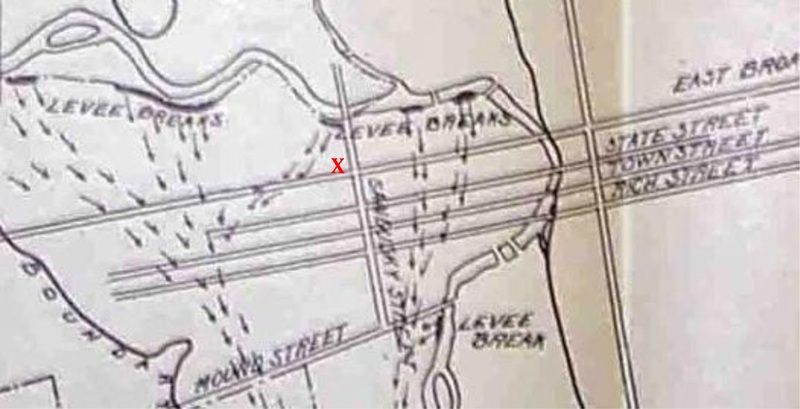 Red "X" is location of Brown Bros.
the low level of spirits in the inventory at the time of David’s death. David’s house, at 90 Martin Ave., was also in the flood area and may have sustained damage as well. (See image of Martin Ave. after the flood.) James’ residence was located further west on higher ground and was out of the flood area. Without an income after David’s death, Mary Ellen rented rooms in her home to nurses from Mt. Carmel Hospital located just a couple of blocks away. She also helped raise her three small grandsons, David Earl’s children, after their mother, Helen Neubeck, passed away at age 30 in 1928. And, as a resourceful woman, she ran a numbers racket out of her kitchen based on the last three digits of the volume of trading on the stock market23. She must have been quite a gal. Mary Ellen passed away July 27, 1946. Mary Ellen and David are buried in Mt. Calvary Cemetery in Columbus, Ohio. James’ occupation, after the Brown Bros. saloon was closed, was shown as a fireman or a watchman in the Columbus City Directories. James died of chronic nephritis on October 3, 183825. His wife, Hettie Fleming, had predeceased him on December 12, 1927. They are buried in St. Joseph Cemetery in Lockbourne, Ohio. James and Hettie had five children, John, Arthur, Agnes, Lee, Walter, and Hettie. Special thanks to Marion for her help with this post. In the next blog, we will look at other children of John and Ellen Burns Brown. 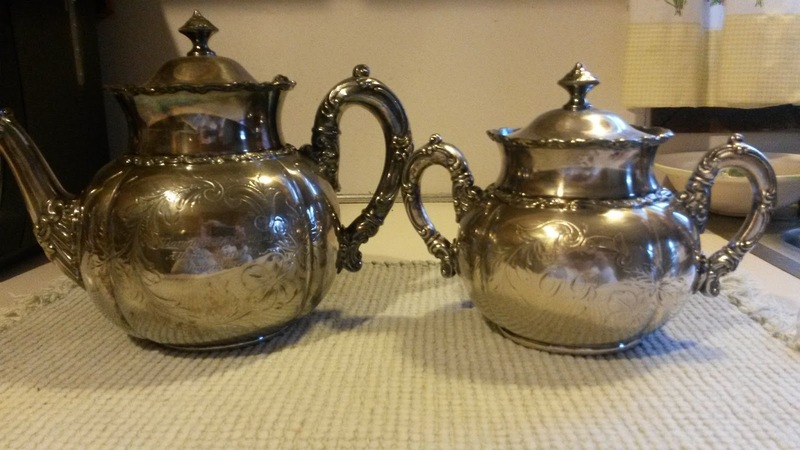 IMAGE - The teapot and creamer shown in the first image was given to Mary Ellen Shipley Brown at her marriage to David Brown on June 12, 1895 in Alliance Nebraska. Items are in possession of a descendent. 1. Brown, David, Kewanee, IL, 11 May 1943, Letter to Esther _____, Columbus, Ohio, page 6. 2. The Original Entry application in Section 30, Township 25N, Range 50W of the 6th prime meridian was completed on September 16, 1896 and is available online at Fold3. https://www.fold3.com/browse/253/hDe05rrWTdbrYn98kidrkHA1wjd1kEpp-92nu6pjJZQsE3xhImKuTQXL1 There are likely two other claims made by David. These are not available online to compare signatures. 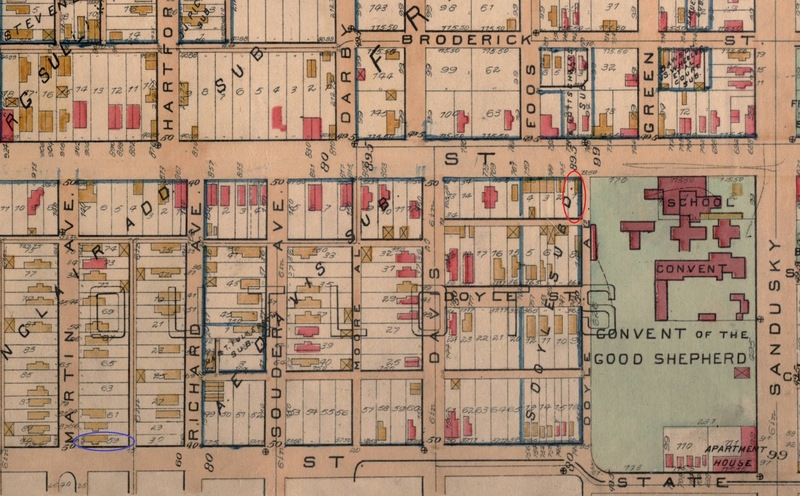 One is a cash sale in Section 24, Township 25N, Range 51W in April 1891 adjoining the above property. 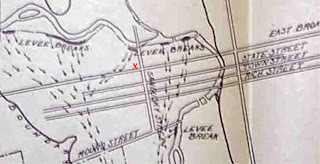 The other is a Timber Claim completed September 7, 1899 in Section 20, Township 25N, Range 50W. It is not known how long these properties were held. 3. 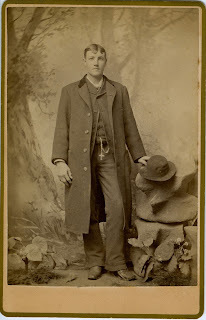 Box Butte County Clerk of the District Court, Alliance, NE, Nebraska, Box Butte County Marriages, 1887-2005, volume A, page 51, https://familysearch.org/ark:/61903/3:1:3Q9M-CSD7-L34P-N?mode=g&i=50&wc=Q6QM-3QQ%3A1590063401%2C1590063408&cc=2549789 The witnesses at this marriage are David Brown and John Phillips. Remember, James had a brother named David, but, by this time he was going by the name of D.O. and had settled in Custer County. The likely witness then is David Brown, the son of John and Ellen Burns Brown, the subject of this post. We looked at James earlier in the post for . . . and he leaves a large family to mourn his death. At that time it was determined that James had married Jenny Barney about 1894, and, was living in northeast Nebraska in 1900. Also, remember that James was living in Adrian, Minnesota in 1891 at the time of his father’s, death. It is assumed that this was a first marriage for James and that he left the area after the presumed death of his first wife. IMAGE - Is this a photo of David Brown? It was found in a box of photos from Margaret Shrum, a granddaughter of John and Ellen Burns Brown. The back of the photo gives the name of the Photographer, F.J. Buckmyer, and his address, 69 S. High St., Columbus, Ohio. 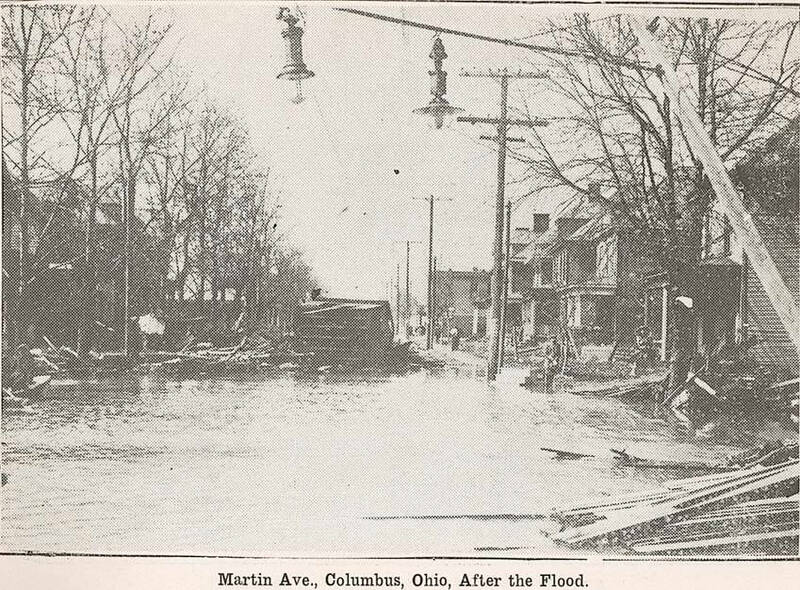 City Directories for Columbus show the photographer at this address from 1881 to 1887. David would have been age 15 to 20 during this time frame. Based on the physical appearance of the subject, I believe this to be “a Brown” of about 20 years of age. The backdrop is a “western scene.” Could this be a clue that he was heading west? 4. Op. cit., Original Entry application, Application for Extension. When the extension was filed, David had built a 16 x 18 house, a cave that was 12 x 12 and had broken twelve acres of ground. He had only a pony with which to do the work. 5. Op. 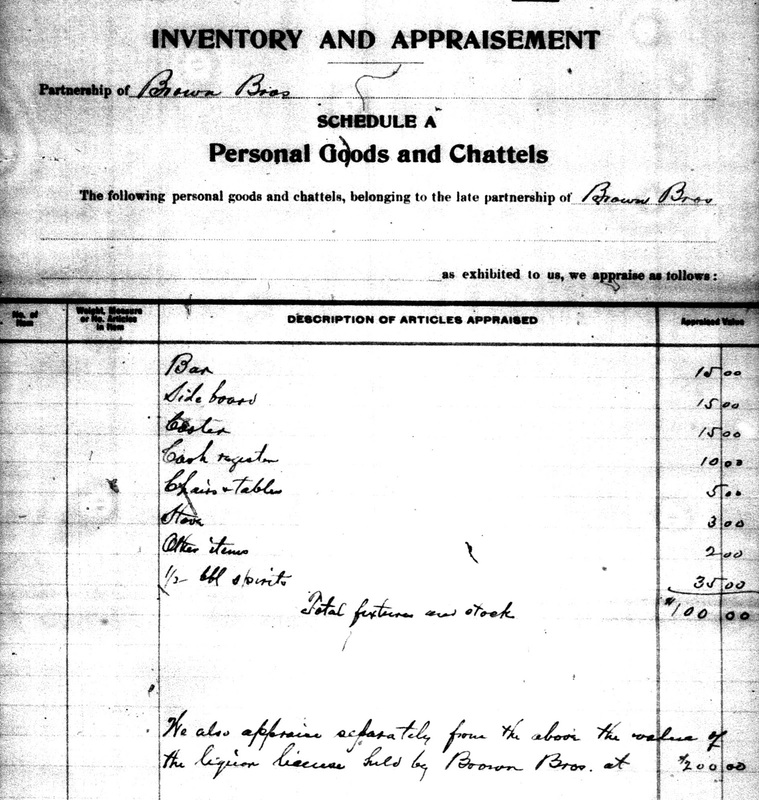 cit., Original Entry application, Homestead Proof – Testimony of Claimant. Part of the final process of a homestead claim was for the claimant, and two people who could vouch for him, to complete a questionnaire about improvements made to the property and his tenure on the land. 6. Salmons, C. H., The Burlington Strike: its motives and methods including The Causes of the Strike, Press of Bunnell and Ward, Aurora, IL, 1889. 7. Nebraska State Historical Society, The Alliance Times, Alliance, NE. The Alliance Times is available through interlibrary loan on a limited basis. I reviewed two reels of microfilm (071-Al5t, 006 and 007) for the period of May 13, 1898 to April 5, 1891. The newspaper gives a lot of detail about the lives of the people in the area. One regular column in the paper, “Shop, Wheel, and Rail,” specifically lists men, and their families, associated with the railroad. Perhaps additional information about David, when he started for the railroad, his assignments, and more could be located in earlier editions. Thanks to the Wilmington Public Library in Wilmington, Ohio who managed to obtain the microfilm of the newspaper. 9. Bureau of Land Records, Land Patents, Nebraska. Records are available online at: https://glorecords.blm.gov/search/default.aspx?searchTabIndex=0&searchByTypeIndex=0; Images from the Alliance Land Office are available from Fold3 at: https://www.fold3.com/browse/253/hDe05rrWTdbrYn98kidrkHA1w Robert Shipley homesteaded in section 25 in township 026N, range 051W. Robert Shipley’s sons, William T. and Archie L., homesteaded in section 26 in township 026N, range 051W. Robert’s son-in-law, John Keeffe originally homesteaded in section 1, township 025N, range 050W. 10. 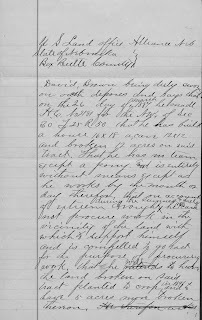 A review of many homestead applications and local news articles for friends and neighbors of the Brown’s find several notations that homesteads were maintained while the wife and children lived in town citing the harsh environment for women and children. 11. Remember from the post on John and Peter that Julia, the daughter of Peter Burns, was married to John Murnane. Is this the same man? 12. Ancestry.com. U.S. City Directories, 1822-1995 [database on-line], Columbus City Directory, 1884 to 1946. 13. 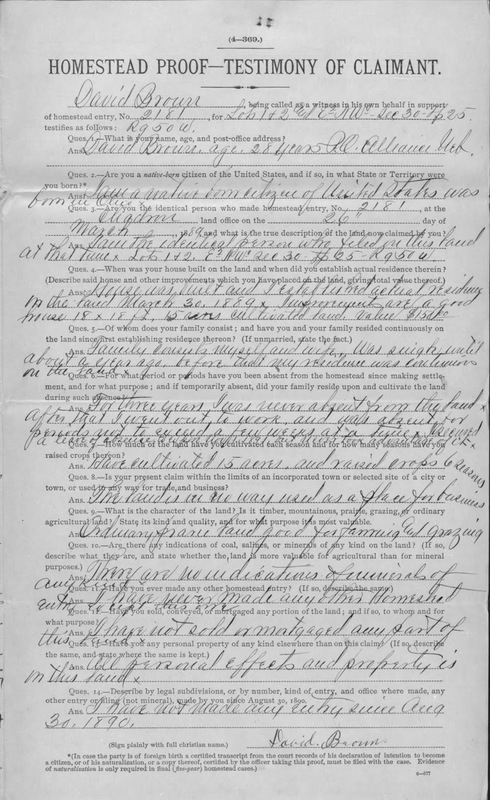 “Ohio, County Marriages, 1789-2012,” database with images, FamilySearch (https://familysearch.org/ark:/61903/1:1:XZBG-R2P : 8 December 2014), James and Hattie Fleming. 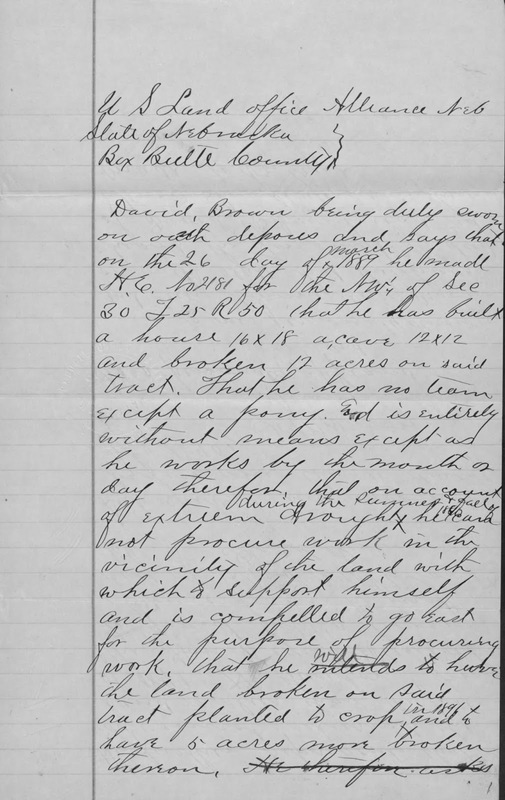 04 Jan 1883; citing Franklin, Ohio, United States, reference 17; county courthouses, Ohio; FHL microfilm 285,149. 15. The Good Shepherd School, Columbus. https://www.colsdioc.org/Portals/0/Departments/CRS/GoodShepherdText.pdf Good Shepherd School was a house of refuge for troubled females of all ages. It was located on the Sullivant estate on West Broad Street and Sandusky and consisted of several buildings including, a church, school, convent and several other buildings. The grounds were extensive and covered several acres. 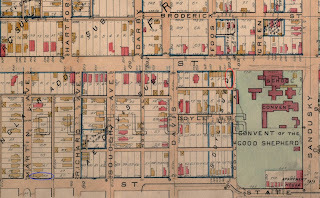 IMAGE – Section of Plate 9 of the 1899 Real Estate Atlas for Columbus, Ohio, G. Wm Baist - Map used with permission of The Columbus Metropolitan Library Image Collections. 16. Ohio Deaths, 1908-1953,” database with images, FamilySearch (https://familysearch.org/ark:/61903/3:1:3357-9PK3-3D8H?cc=1307272&wc=MD9X-T2S%2C294553504 : 21 May 2014), 1914>image 1579 of 3301. 17. 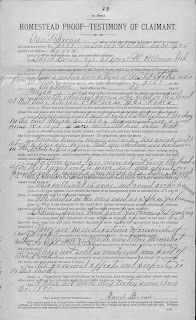 Franklin County, Ohio probate case files, estate no. 29919, David Brown (1914), Inventory dated September 10, 1914. Inventory consists of furniture and fixtures and one-half barrel spirits. 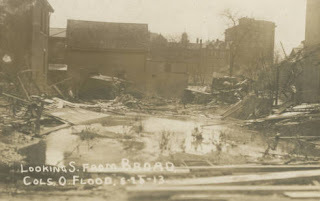 Was there other inventory that was moved prior to probate; or, was the inventory small because of the 1913 flood? 19. The licensing division of the Franklin County Liquor Control holds records for licenses and transfers. They do not have records before Prohibition, nor, are early records held at local repositories in Franklin County. 21. Op. cit., Franklin County Recorder’s Office, Public Records Search, sale of 741 W. Broad recorded in volume 691, page 246; sale of 2510 W. Broad recorded in volume 672, page 580; sale of 47 S. Warren recorded in volume 678, page 286. 23. This information from descendents of David and Mary Ellen Brown. 24. Ohio Deaths, 1908-1953,” database with images, FamilySearch (https://familysearch.org/ark:/61903/3:1:3357-9PK3-3D8H?cc=1307272&wc=MD9X-T2S%2C294553504 : 21 May 2014), 1914>image 1579 of 3301. I am always amazed at the diverse documents you find to make your case. And, as you know, I'm jealous of your citations skills. Great story. Thanks Kathy - I learned it from you!